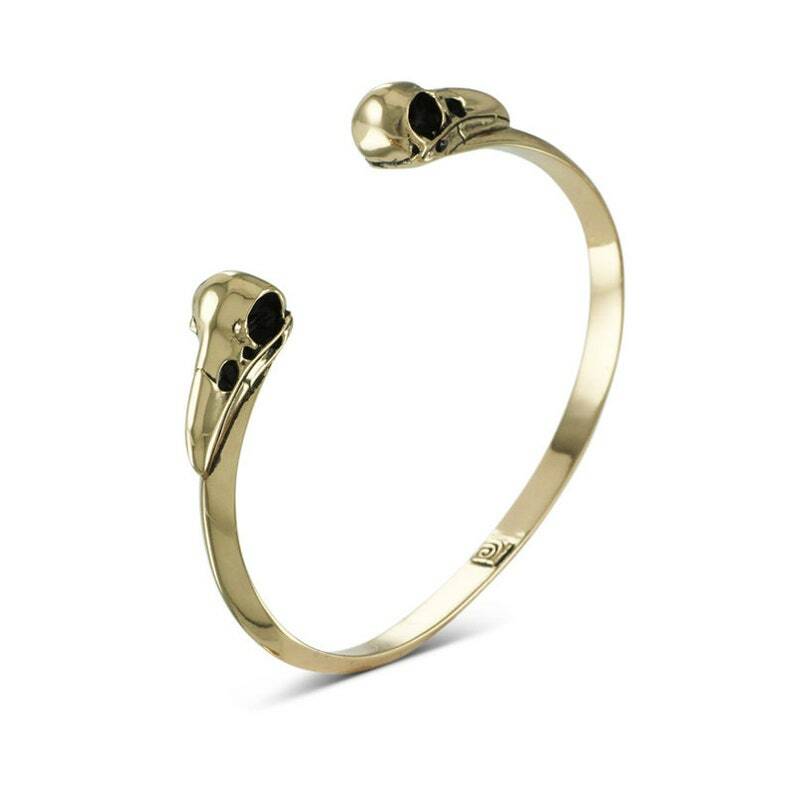 Our Raven Skull cuff bracelet. An heirloom in the making. Perfectly proportioned, the two raven skulls sit proudly on a ridged bronze bracelet like guardians - there's a strength and beauty in this cuff that'll make you feel like an Amazonian. There's no soldering - completely hand carved, both the skulls and bracelet are one solid piece of jewelry. It was a bracelet I found in Cambodia, 1500 years old and bright green with age and patina, that first got me excited about bronze. That something so old, so rich with history, could still look so beautiful after being buried for over a millennia really resonated with the Indiana Jones in me. I hope one day that this raven skull cuff might be unearthed by some travelling wilbury, and evoke the same thrill in them. Until then, it's all yours. The raven skull cuff measures 2 1/2" (65mm) wide and 1 3/4" (45mm) high. The cuff is completely hand carved, and cast in the finest solid bronze. Hand finished and polished, the cuff is finally protected against tarnishing - no need to look after your bracelet, but your bracelet will look after you.